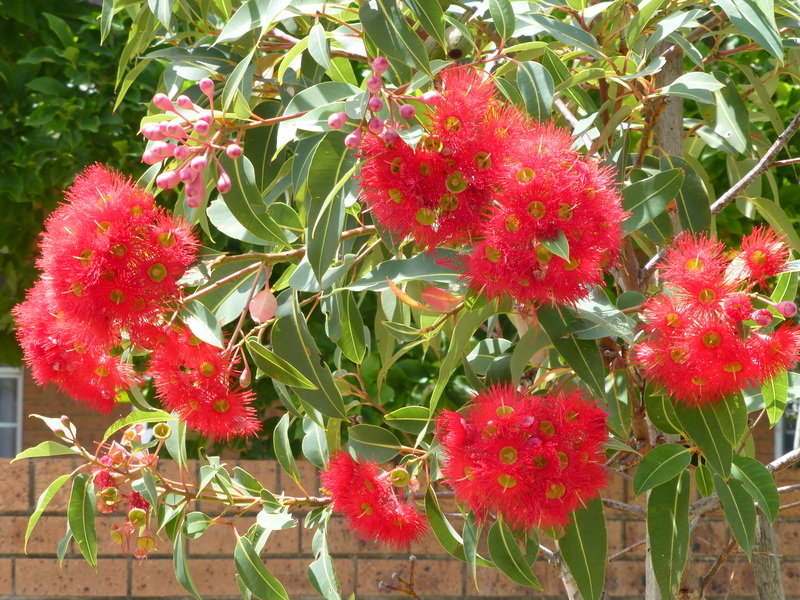 Still Delightful: West Australian Red Flowering Gums! I’m delighted every morning to see that these beautiful natives are still in bloom. I know that some of the earlier-flowering ones are past their prime, yet there are still quite a few beautiful specimens near our home. What rich and vibrant colours! What stunning forms! Don’t you agree that Australian natives exude a special charm?